Statue Of Giotto Di Bondone, A Famous 13th Century Italian Painter And Architect From Florence, In The Uffizi Colonnade In Florence, Italy. Lizenzfreie Fotos, Bilder Und Stock Fotografie. Image 111725954. 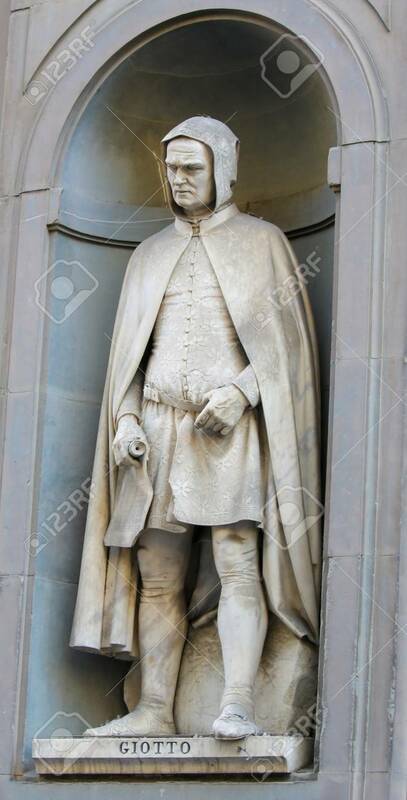 Standard-Bild - Statue of Giotto di Bondone, a famous 13th Century Italian painter and architect from Florence, in the Uffizi Colonnade in Florence, Italy. Statue of Giotto di Bondone, a famous 13th Century Italian painter and architect from Florence, in the Uffizi Colonnade in Florence, Italy.